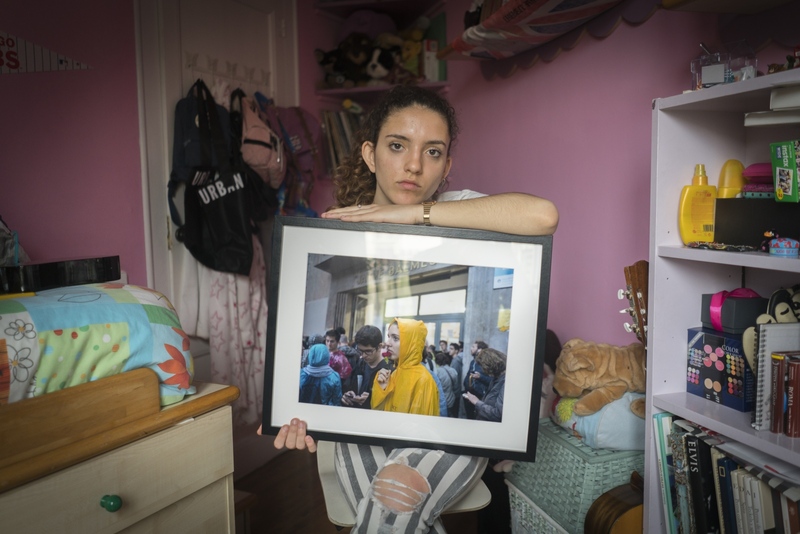 Photographs from Catalonia is a film that explores what my photographic representations of the Catalan independence struggle mean to the people who appear as subjects in my photographs. After documenting the October 1st independence referendum I decided to connect with three of the people I had photographed to give them a framed picture. Using the caption information I acquired on the day, I got in touch to discuss each person’s ongoing experience in the Catalan independence movement. 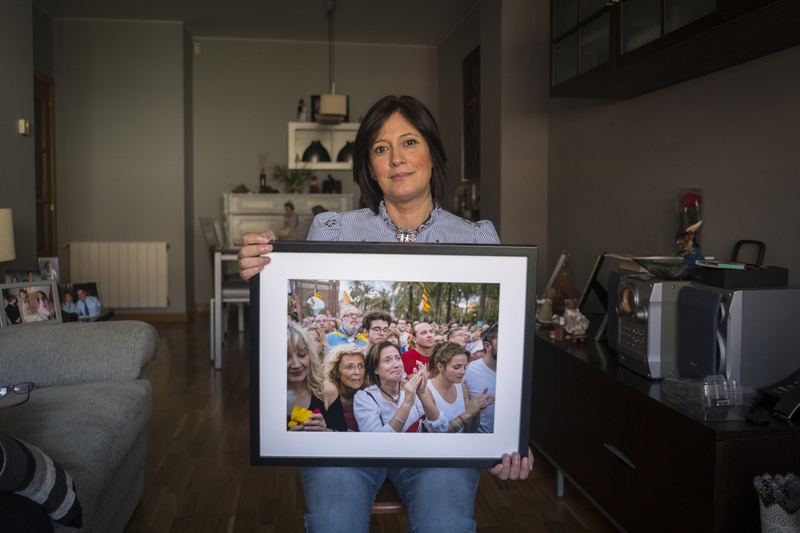 By reflecting on images of themselves taken during a historic time, each person reveals what the moment meant to them and their hopes and fears about the ongoing Catalan independence process. The film was published by Diari Ara in Catalonia as part of their referendum anniversary coverage. Photographs from Catalonia from Daniel Cole Pares on Vimeo. 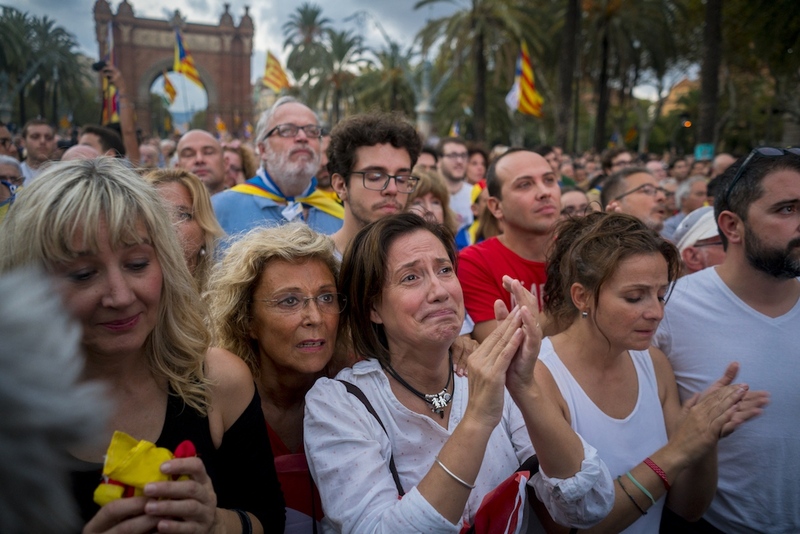 Muntsa Casas watches Catalan President Puigdemont's speech on a mega-screen in Barcelona on October 10th, 2017. After declaring independence Puigdemont suspended the declaration and invoked a pause for dialogue with Spain. When presented to her, the photograph triggers an emotional response as Muntsa recalls her continued support for the movement since she was young. Muntsa is deeply committed to the Catalan independence movement and has an overwhelming hope for its future. 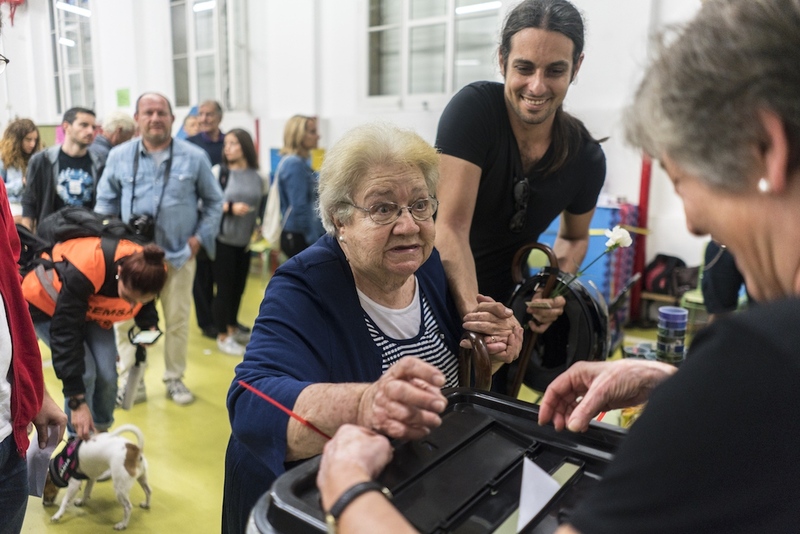 Ivett Dalmau, a student at the Jaume Balmes school waits with voters and students for election officials with ballot boxes to arrive, October 1st, 2017. The group stayed overnight at the school to protect the voting center from the threat of a shutdown by Spanish police forces. Not yet of voting age, Ivett is determined to protect her future right to vote. Ivett’s passion and concern highlights how young Catalans feel engaged with a movement that will have a lasting political, economic, and social effect on their futures. Having just met outside the voting center, Victor helped walk Magda through the crowd and to the voting tables. “I saw her outside struggling, and because I myself don’t have a grandmother to help, I said, today Magda will be my grandmother”. 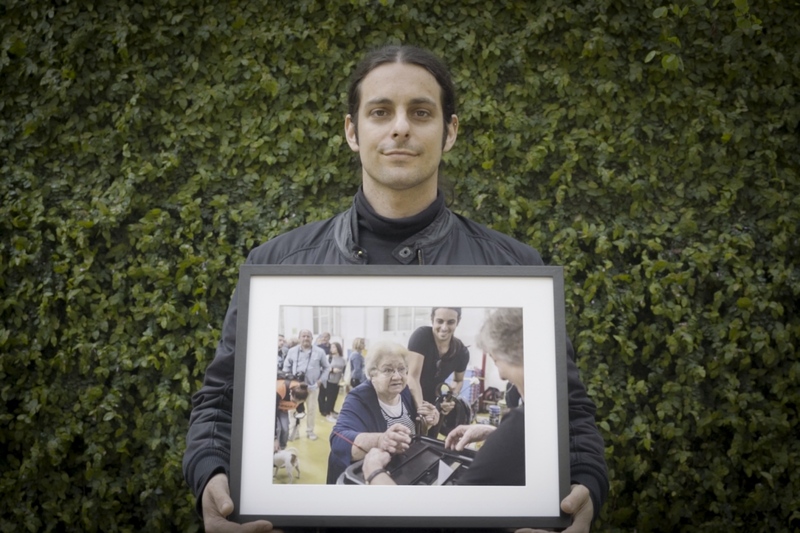 On October 1st Victor helped a frail Magda through the crowd to cast her vote. Six months later Victor goes to visit Magda in her home. Their unlikely friendship shows how generations can connect through a common cause and a shared Catalan identity.